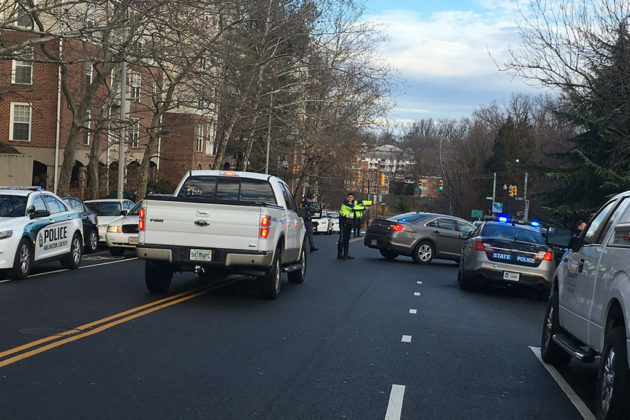 Update at 9:30 a.m. — The suspect has been found hiding under a car in the area of N. Quinn Street and 18th Street N. and has been taken into custody, according to scanner traffic. Update on 1/19/17 — Virginia State Police have issued the following updated statement regarding the chase and the suspect’s apprehension. 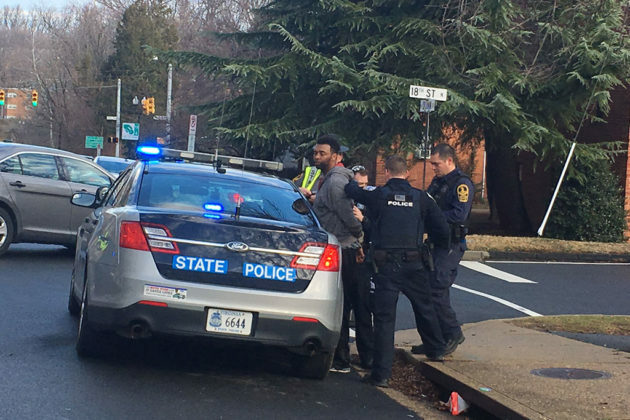 At 8:48 a.m., Wednesday (Jan. 18), Virginia State Police Sgt. C.J. 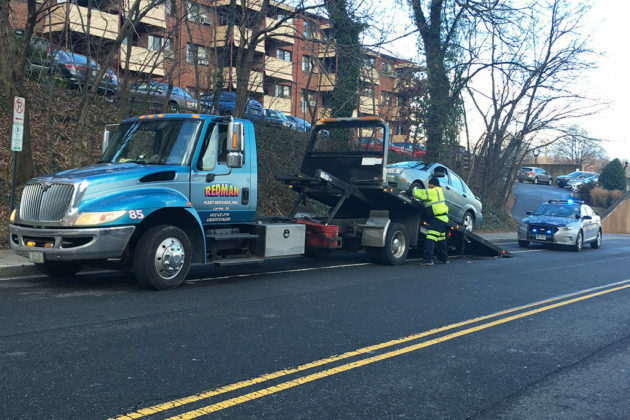 Szupinka was conducting stationary HOV enforcement when he observed a 2005 Ford Focus entering the eastbound I-66 HOV lane at the 71 mile marker. The Ford was in violation of the HOV+2 regulation, as it had only one occupant. Sgt. Szupinka motioned to the driver, John R. Johnson III, to stop. Johnson pulled over in front of the sergeant’s patrol car. But as the sergeant approached on foot, the Ford kept rolling forward and then pulled away and into the mainlines of eastbound I-66. A pursuit was initiated with the Ford reaching speeds of up to 100 mph. 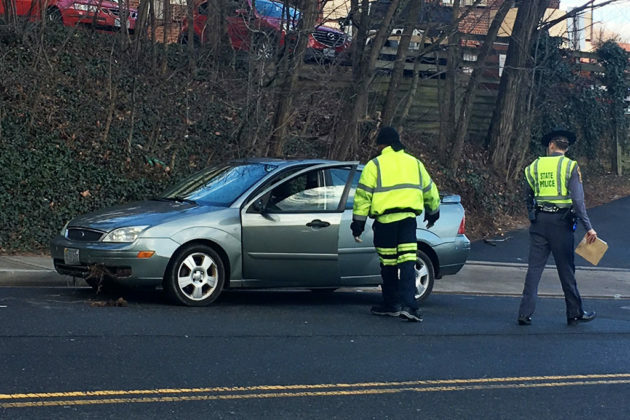 The Ford Focus took Exit 73 and due to its reckless driving and speed, the sergeant discontinued the pursuit for the safety of other motorists and pedestrians. 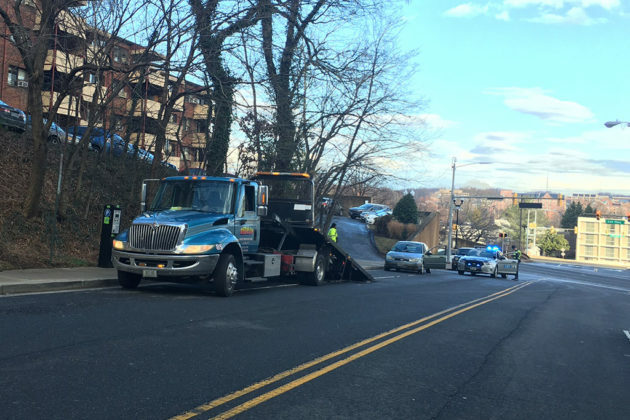 Minutes later the vehicle was located abandoned on Nash Street near Lee Highway. The keys were still in the ignition and the engine was still running when the sergeant found it. Johnson had fled on foot. 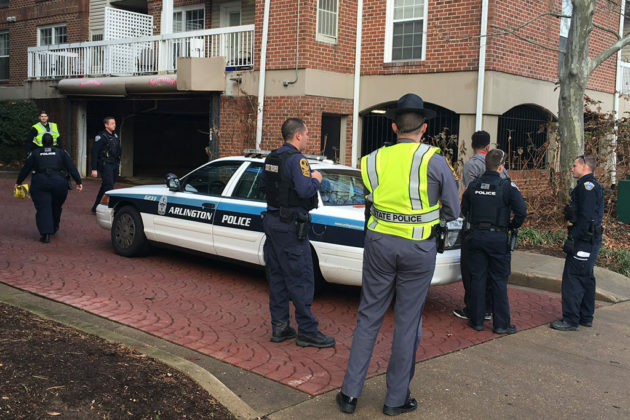 With the assistance of Arlington County Police, State Police set up a perimeter and began searching for the subject by foot and through the use of a Virginia State Police K9 team. 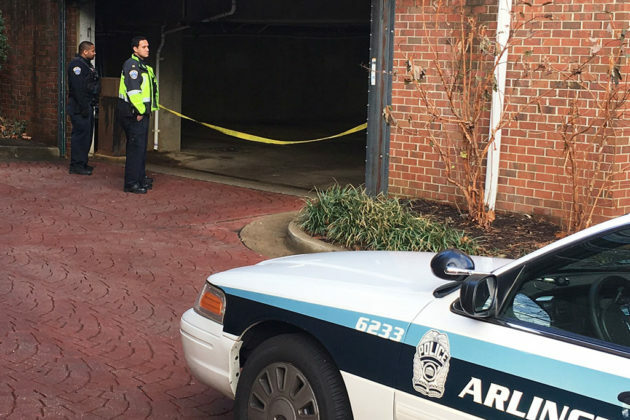 At 9:27 a.m., Arlington County Police discovered Johnson hiding under a vehicle in a parking garage near 19th and Quinn streets. Johnson was taken into custody without further incident. Johnson, 44, of Maryland, was charged with one felony count of eluding police, reckless driving, the HOV violation and driving on a suspended license. 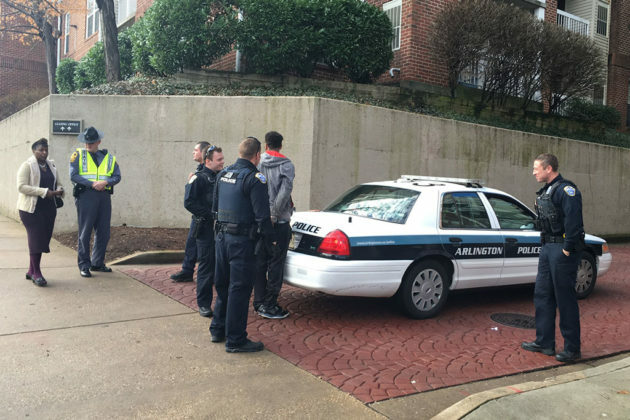 He is being held without bond at the Arlington County Jail. 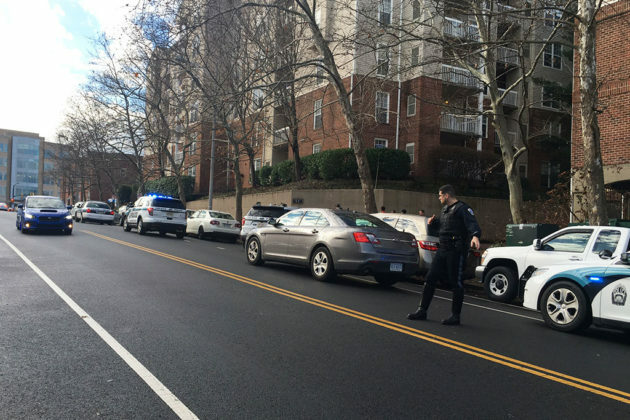 Earlier: Police have swarmed the area around N. Nash Street and the Holiday Inn hotel in Rosslyn to search for a driver who led Virginia State Police on a morning rush hour chase. 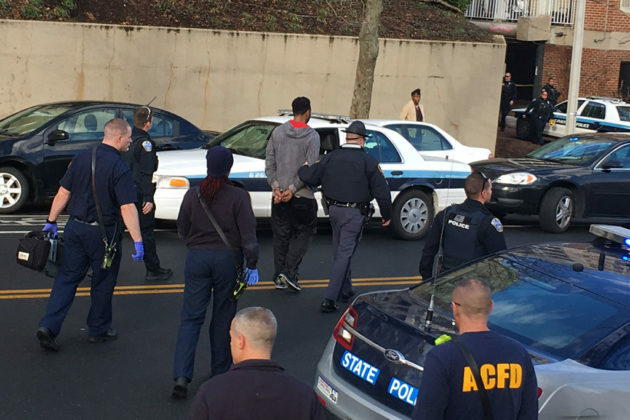 Initial reports suggest that state police were pursuing the suspect on I-66 for an HOV violation. 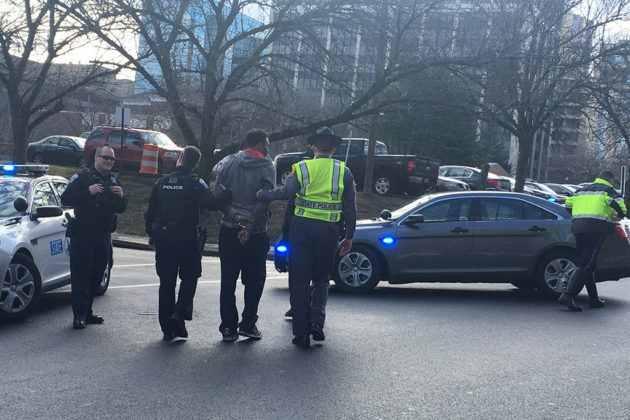 The suspect exited the highway at Rosslyn and bailed out near the hotel. Police are establishing a perimeter as they try to locate the suspect, who’s described as a black male wearing jeans and a gray hoodie.